Krystal Ball is an author, activist, and President of the People’s House Project. She recently published a book, “Reversing the Apocalypse: Hijacking the Democratic Party to Save the World.” In 2016, Krystal was central to Glamour magazine’s political coverage, where she continues to highlight political issues of particular importance to women. For the previous three years, Krystal co-hosted MSNBC’s topical news, politics and culture daily program, The Cycle. While at MSNBC, Krystal also developed and co-produced Krystal Clear (KC), a flagship feature of MSNBC’s all digital channel Shift, and anchored live stream coverage of special events like the 2014 mid-term elections and the 2015 State of the Union. Krystal has provided commentary on programs as diverse as “The Ed Show,”, “The Today Show”,”Good Morning America,” “The Last Word with Lawrence O’Donnell,” PBS:”To The Contrary,” “The Dylan Ratigan Show,” “The O’Reilly Factor,” “Hannity,” and Megyn Kelly. Her writing has appeared in publications such as US News and World Report, the Atlantic, the Huffington Post, and Politico; she has been a featured speaker at Columbia, Princeton, and George Washington University and Harvard; and a guest lecturer at the New School in New York City. She lives in Louisville, Kentucky with her husband Jonathan and three adorably willful children. 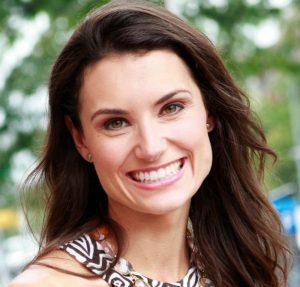 She is on Twitter @krystalball.